“Oh, man, you’ve gotta check out Scarecrow.” I don’t know how many times I had someone say that to me when I moved to Seattle. Nearly twenty years later, I have no idea how many times I’ve said that to other people, though it feels like a catchphrase. 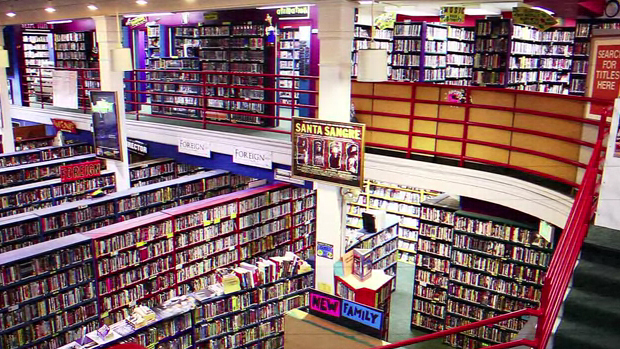 What is it about this video store that provokes such a sense of awe? Well, while Scarecrow began as (and remains) a video store, it has become much more than that. In 2014, it transformed into a non-profit organization, and now offers special programs for film lovers of all ages. It is, in short, a cultural institution. There’s this idea that Scarecrow has everything. It doesn’t, necessarily, but it comes closer than any other place in the world. It is the largest publicly accessible archive of home video, with over 130,000 titles spanning 129 countries and 126 foreign languages, covering 125 years’ worth of cinematic history. All genres, all formats, all regions—it’s all here. If you started watching the collection for sixteen hours every day, it would take decades to get through it, and that’s assuming that no other titles were added. I love the fact that Scarecrow has so much, but no one person could watch it all in a lifetime, nor should they. One of the marvels of film is the myriad ways it can influence and enrich our lives. All film speaks to the human experience. A film’s message can range from, “emotions may be universal, but individual lives are infinitely unique,” to “don’t go in that house alone.” There is nothing more amazing than a place dedicated to the idea that, regardless of message, all of these works have value, and keeping them available to the public is the most noble goal, whatever that requires. It is remarkable that whatever film you’re looking for, you can probably find it here. Even more remarkable, though, is all the things that you don’t even know that you’re looking for. I know that without Scarecrow, I never would have had an opportunity to explore the work of Frederick Wiseman. An essential American documentarian, he has spent fifty years examining how the American ideal plays out through the prism of our institutions: schools, hospitals, courts, and government. For years, his output was nearly impossible to view outside of haphazard airings on PBS, but it can all be found in the Directors’ Section of Scarecrow’s Documentary Room. For a particular type of film fan, there are entire genres poorly served by American home video. You might find a smattering of popular titles, but locating anything more obscure often placed you at the mercy of bootleg dubs and blind luck. When I first discovered Scarecrow, its selection of import releases won my heart instantaneously. Even today, it remains one of the store’s greatest assets. My unflagging love for martial arts films led me to devour the Shaw Brothers catalog, and in the process, gave me an unexpected appreciation for the huangmei opera movies that predated the studio’s action output. The thrill of discovery is one of the essential joys of Scarecrow. As a volunteer, I have ample opportunity to explore each and every corner of the store and, consequently, the history of cinema itself. Tracing the connective tissue from one film to another can give us a greater understanding of both art and the humanity which drives it.